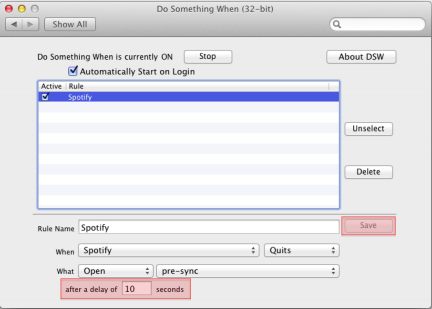 ChronoSync does not directly support scheduling a sync to run when an application closes. Use this document to create an AppleScript that, with the use of the application Do Something When, will trigger a sync to run when a specific application closes. 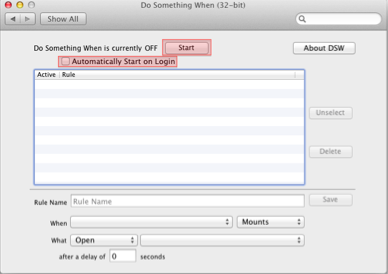 Use the following steps to monitor when an application closes with 'Do Something When' and create an AppleScript that runs a sync. This procedure makes use of the AppleScript Editor which be found in the Applications->Utilities folder as well as the utility 'Do Something When' available from their website. 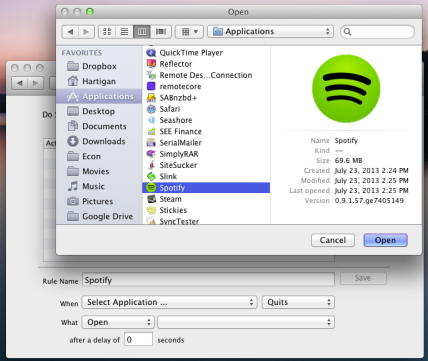 Save the AppleScript by going to the menubar and choosing File -> Save. Make sure to choose the 'Application' File Format. Choose a directory to store the AppleScript, then choose 'Save'. 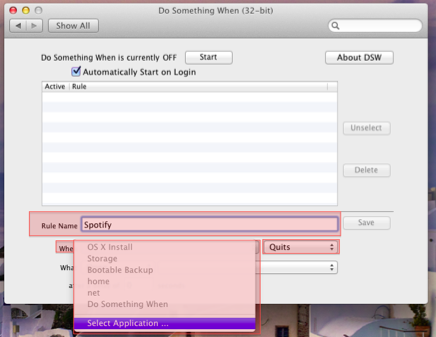 Double-click DSW.pkg to run through the installer. 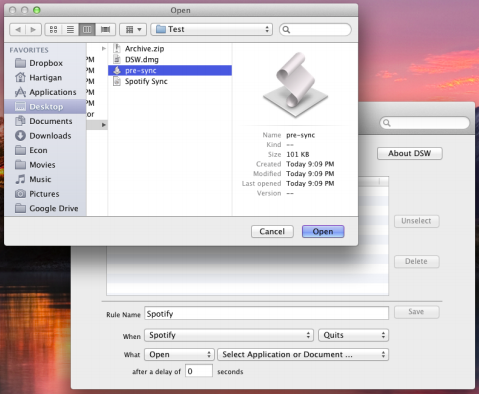 Locate the DSW icon located under Other in System Preferences of your Mac. If all has gone well, the sync document should run approximately 10 seconds after Spotify, or the application you've chosen, is closed.